Olive Tree Genealogy Blog: Sneak Peek at Kelsey Grammar Episode WDYTYA Tonight! Sneak Peek at Kelsey Grammar Episode WDYTYA Tonight! TLC’s two time Emmy-nominated series Who Do You Think You Are? sponsored by Ancestry.com continues, and this week actor Kelsey Grammer explores his family history tonight, August 20 at 9/8c. In his episode, Kelsey Grammer takes a trip into the past to explore his beloved grandmother’s family. Wanting to understand more about the grandmother who raised him, he sets out to learn the circumstances of her early life. He uncovers the story of a woman haunted by demons, and finds a connection to family who risked everything in one of the greatest migrations in American history. Here’s a sneak peek of Kelsey's journey. In addition to this season’s new premieres, TLC has also acquired episodes from previous seasons of the series, marking their first debut on cable. Tomorrow night will feature encores of Reba McEntire’s episode at 8/9c, and Vanessa Williams’ episode at 10/9c. Next week Minnie Driver’s episode will air as the season finale on August 27. Next week’s encore episodes will include Tim McGraw and Rita Wilson. 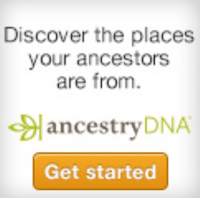 Labels: Ancestry.com, Sneak Peek, TLC, WDYTYA, Who Do You Think You Are?